We are a family owned businesses located in Reno, Nevada in a sales and manufacturing facility. With over 25 years of experience making custom wheel adapters and spacers, Motorsport Tech thrives on providing the highest quality service and the very best products that man can make. A heavy emphasis is placed on perfection, safety and customer satisfaction. 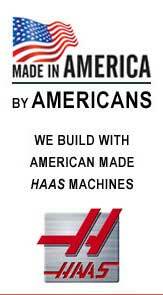 We take pride in everything we do, from manufacturing through shipping. Don't be fooled by 3rd party sellers that buy and re-sell cheap wheel adapters and spacers from abroad, as the old adage "you get what you pay for" rings true in our industry. We ARE the manufacturer, and you are buying direct with no middleman. We achieve high quality by using the best machinists, equipment and materials available today. That's what enables us to offer a LIFETIME WARRANTY and heavy product liability on all of our products. Your safety is our #1 concern. Motorsport Tech - Manufactures custom aluminum wheel adapters, wheel spacers and hub centric rings for any type of vehicle. Adaptec Speedware - Provides wheel adapters, wheel spacers and hub centric rings for practically every car on the road. BORA (Bulletproof Off-Road Adapters) - Provides high grade aluminum wheel adapters, wheel spacers and hub centric rings for Trucks, Duallies, SUV's, Off-Road Vehicles, UTV's and Tractors. Stahl/Steel - For those who prefer steel products our Stahl/Steel brand manufactures wheel adapters, wheel spacers made of American sourced steel for any vehicle.